Ever since I signed a contract with my dermatologist saying I would always use a moisturizer with 50 SPF in the summer and 30 SPF in the winter, I haven't been able to use my favorite moisturizer, the Olay Total Effects that I wrote about before. Costco has had no suitable substitute. 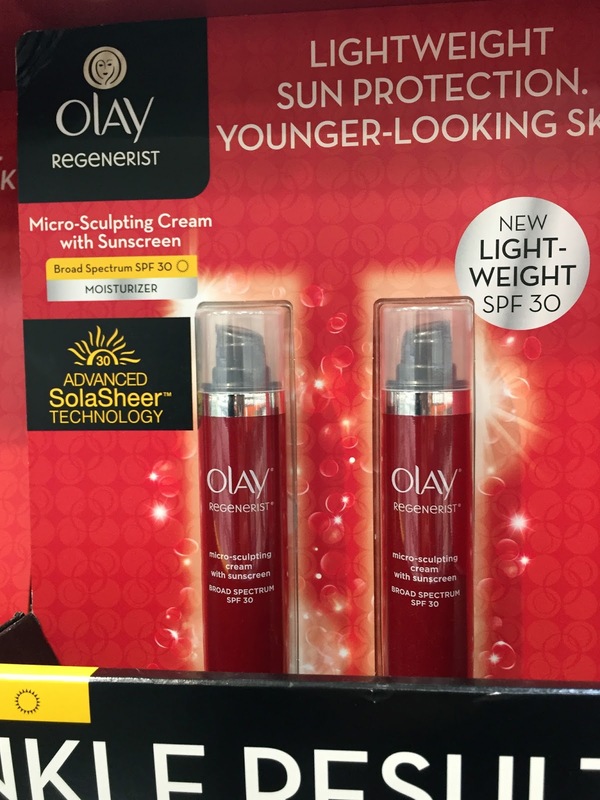 So I was thrilled a couple weeks ago, when my local West Nashville Costco stocked the Olay Regenerist 30 SPF. I'm going to ignore that the price tag ended in 7, which usually means the product is on its way out and on sale. I hope that this product is here for the long term. 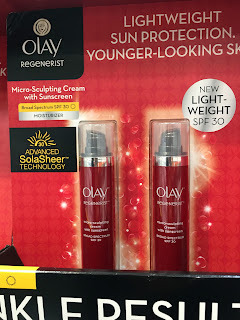 I've been using the Olay Regenerist SPF 30 for a couple weeks, and I like it and can't tell a difference from the Olay Regenerist 50 SPF that I was using.